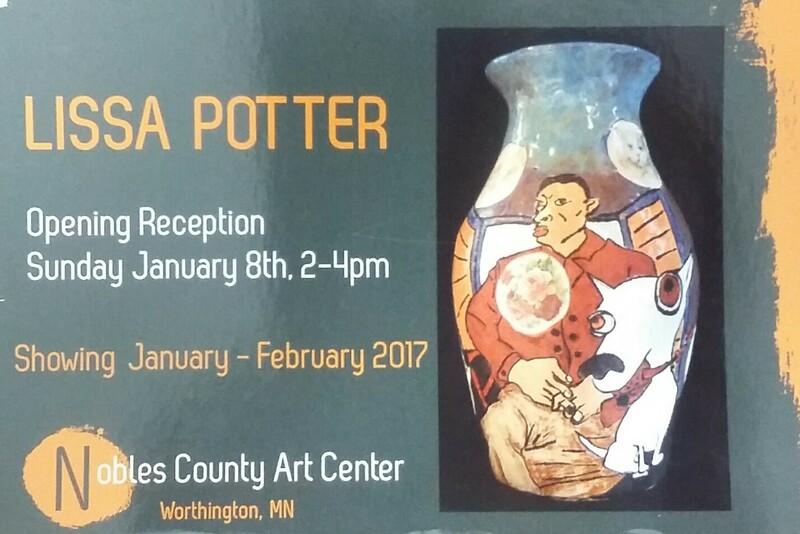 Lissa Potter will exhibit at Nobles County Art Center, 407 12th St. STE 3, Worthington, MN January through February 2017. Artist reception to take place on Sunday, January 8th from 2-4 pm. Lissa Potter has a BFA from Syracuse University. Her exhibit will feature wheel thrown, hand built, altered and functional stoneware along with painting and collage.